Before I started college, I was often asked what subject I planned to study. Hearing my answer, most of the comments I got sounded like “That’s very practical” or “Must be challenging” and sometimes, “The Chinese are always good at maths”. I was in no rush to deny all the stereotypes because I have to admit, accounting is very practical, most of the time challenging and requires good quantitative skills. However, I can guarantee that any person could successfully complete the course if they put in the effort! Accountancy is such a broad subject that and covers different sectors such as auditing, taxation, management accounting and financial accounting. Indeed, being an accounting student in IT Carlow is a very valuable and interesting experience. The honours degree of Accounting in IT Carlow takes three years in total, unlike other business degrees, which are normally four years. We had a relatively small class in the beginning but were joined by students from different business degrees and from overseas in our second year. Accounting students are good at numbers but not just numbers — we also work on projects from different disciplines and study theoretical subjects throughout the college year. If you happen to meet an accounting student from IT Carlow, she or he may be able to discuss Contract Law with you or even give a presentation on the best marketing strategies for KitKat. As a Chinese student in Ireland, I find IT Carlow a very open and multi-cultural environment. I have met friends from all over the world. From golf and tennis to Zumba and Pilates, there’s always something to do after class! 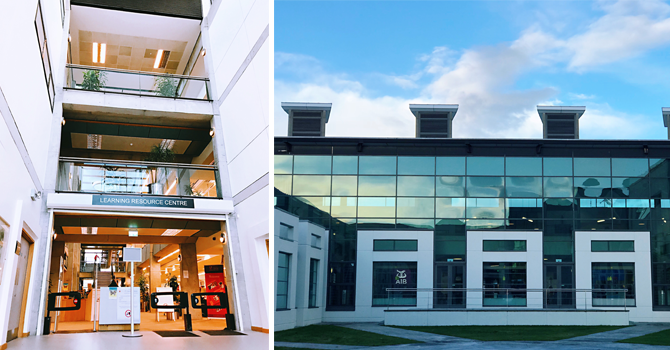 I enjoy every aspect of life in IT Carlow, whether it’s my intensive exam preparation in the library or playing pool with friends in the Student Union. Studying accounting in IT Carlow has given me a high level of competency in numerical skills, management and IT techniques. At the same time, I’ve had a valuable and unforgettable experience living in Ireland. For anyone who is interested in studying abroad and achieving a strong technical skill-set, I would highly recommend my college and course.